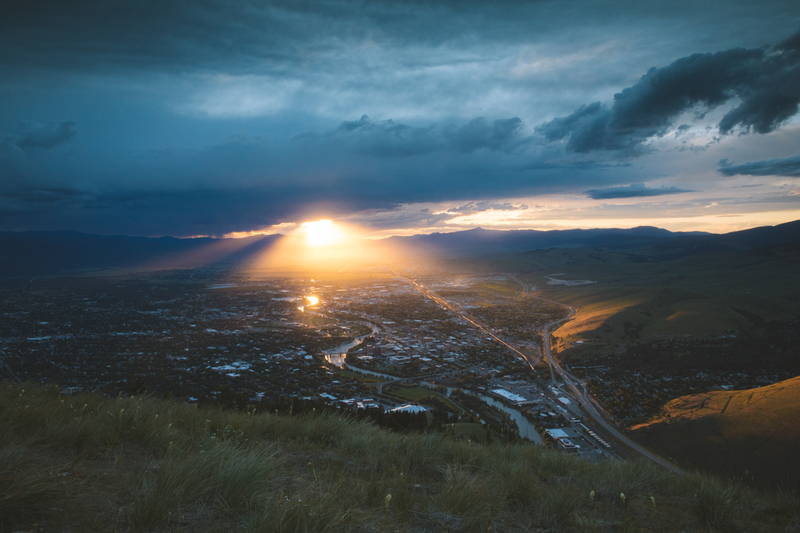 With rain in the forecast, I came into town the night before my official two days in Missoula began to try and catch a sunset. 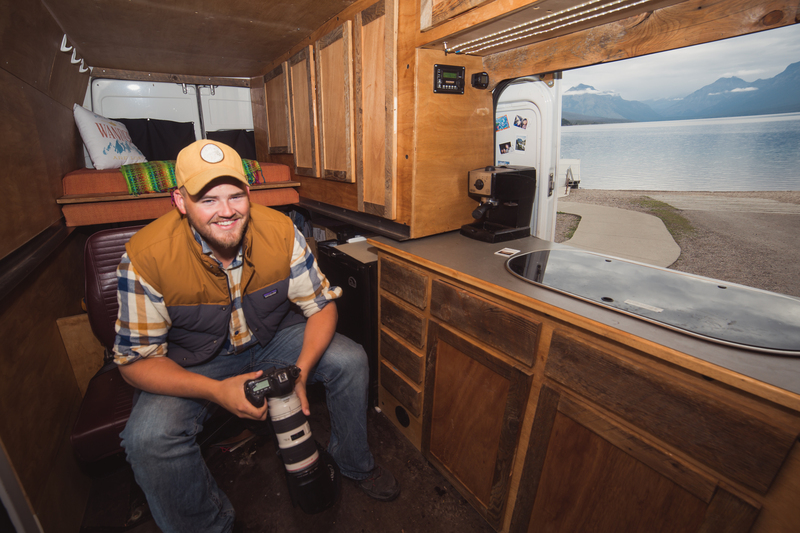 I rolled into Missoula around dinner and met my friend and fellow photographer, Conner Zins, at Notorious P.I.G. After stuffing my face with delicious barbeque we dropped a car off at the M parking lot and then drove over to the Crazy Canyon Trailhead. We decided to summit Mount Sentinel from Crazy Canyon as it’s less steep and it would be in the shade the whole way to the summit. Upon reaching the summit we were greeted by a thunderstorm in the distance. The overcast sky was disheartening, but the views were still unbeatable. I sat down and cracked the Draught Works “summit soda” I had packed up to enjoy the view before taking some photos. As the sun began to drop I started to notice a gap in the horizon, and light rays began to show through. The light rays expanded and expanded until finally the whole sun burst through the clouds and sent a flash of light across the whole valley. The next 15 minutes was spent singing, dancing, and complimenting the light ray as it turned out to be one of the most incredible sunsets I had ever seen. Running on high from that experience I was excited to spend a weekend in Missoula. I met my friend Hailey for breakfast at the Catalyst so we could plan out our day. Our top priority was the Missoula Farmer’s Market, and I had figured the steady rain would be enough to deter people from the market… but I was wrong. People were out in droves to support local farmers, bakers, and coffee makers, and it was an inspiring sight. 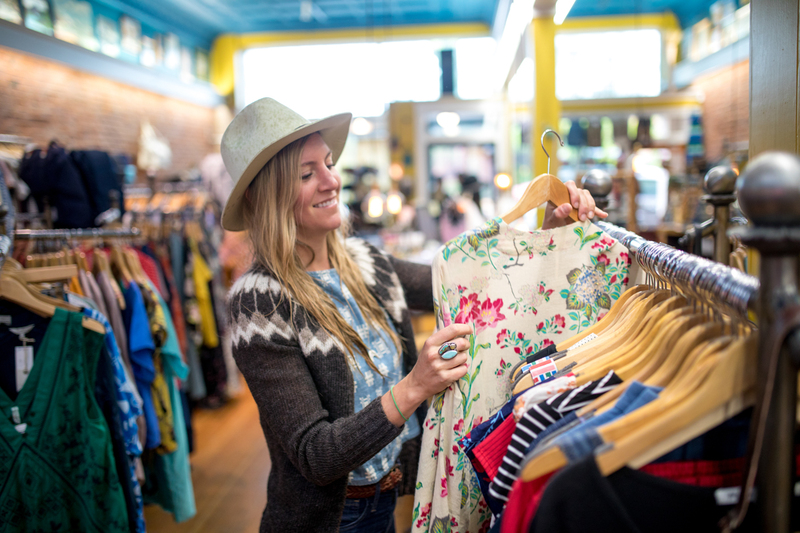 After the market we roamed Missoula’s famous Hip Strip shopping district, and ate our way around the numerous bakeries and coffee shops downtown. As the day grew to a close we headed to one of my favorite breweries in the state, Draught Works, for some live music and delicious beer. To cap the night off we went to Top Hat and danced the night away to Bluegrass. 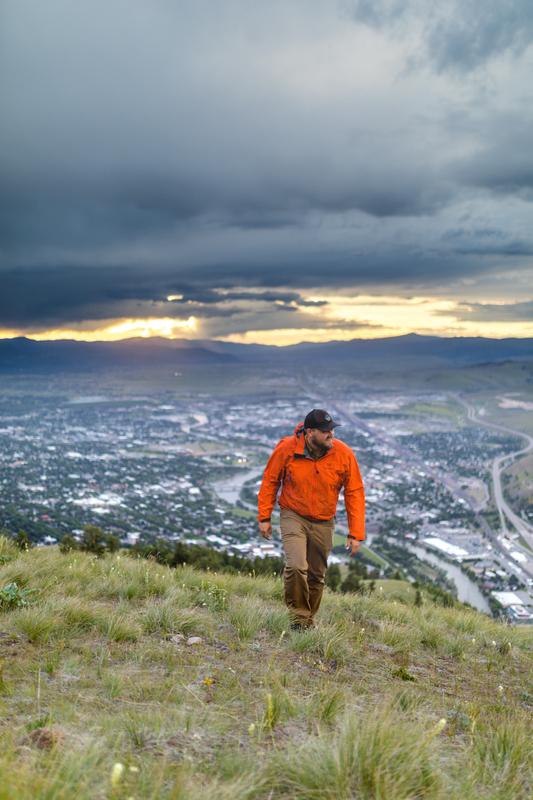 With Saturday spent focusing on the art and culture of Missoula I wanted Sunday to be about the adventure. So I started the day how every day should be started, with a cup of coffee from Black Coffee Roasters. 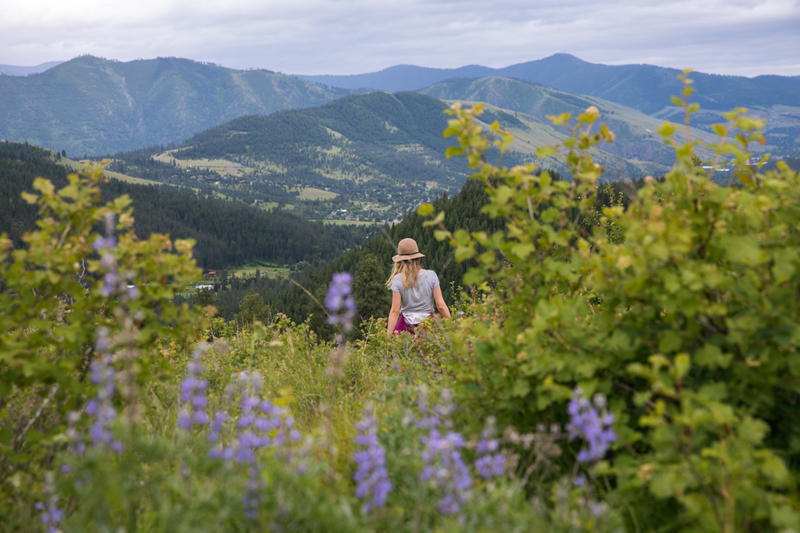 Then I was joined by fellow photographer, friend, and model, Karissa Frye to head off into the Rattlesnake Wilderness. This area is so close to Missoula and yet I still haven’t heard much about it. We hiked for a while before taking a game trail up the side of a small mountain. We summited, accompanied by more summit sodas from Draught Works (see a trend here? ), and played amongst the numerous wildflowers. Okay, Missoula, you win this round. I can’t wait to come back and explore more of this culture and outdoor rich city! Stay tuned, Montana’s Glacier Country is on deck! Check out this map of my roadtrip! Missoula is #11 & 12!